Ask wine lovers where their favorite Italian wines come from and places like Piedmont, Tuscany and Friuli usually pop up. 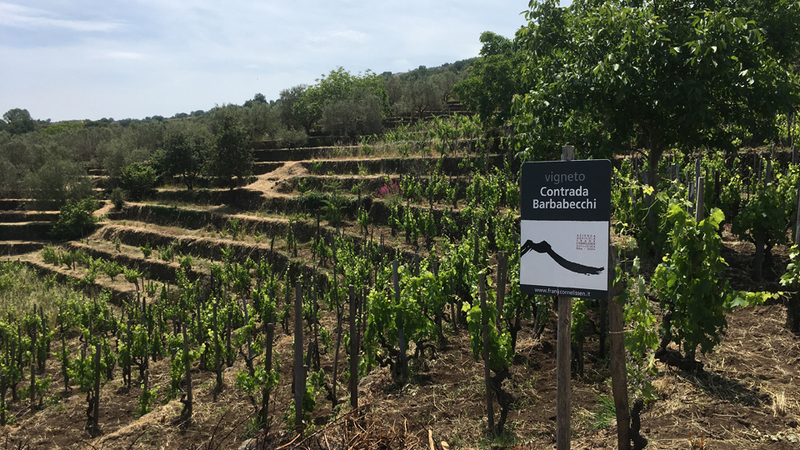 While it’s hard to argue with the quality of a well-made Barolo, Brunello di Montalcino or Ribolla Gialla, many of Italy’s less famous wine regions are making outstanding wines. Liguria, Sardinia, Abruzzo and Valle d’Aosta immediately spring to mind, as does Sicily. In fact, Italy’s largest island has a long and distinguished history of fine wine production, but its reputation was tarnished by the many neutral and poor efforts through most of the 20th century. One of Julius Caesar’s favorite wines was known to be Sicily’s Mamertinum (Mamertino in Italian), just one of the island’s many wines that were famous in antiquity. Another wine, Tauromenitatum, produced in the island’s northeast corner, was written about by Pliny the Elder and has become the object of modern-day research and vinification attempts. We may all be tasting an updated version soon enough. In later centuries, other Sicilian wines were much sought after (Admiral Horatio Nelson was known to be a lover of Marsala); luminaries and researchers like Pastena and Mendola classified and detailed the many cultivars that were grown on the island. Unfortunately, the mid-20th century brought about the hunt for EU subsidies and the fatal attraction for international varieties, most of which are ill-suited to Sicily’s hot climate. And I don’t just mean white grapes like Chardonnay and Sauvignon Blanc. Merlot is having an increasingly tough time on the island too. This led many producers to uproot old vines of local varieties or to ignore potentially high-quality local grapes altogether. Clearly, this was a recipe for disaster, as interest in Sicilian Chardonnay and Cabernet wines is minimal. The wines aren’t necessarily bad but for the most part just aren’t good enough by international standards. In the end, it doesn’t really matter. I live in Italy and I can guarantee that nobody I know - or even observe in restaurants and wine bars - ever drinks the stuff. In fact, with few exceptions (like those from Planeta and Tasca d’Almerita), all wines made from international varieties soon proved to be difficult to sell, which inevitably led to these varieties being blended into wines made with local native grapes. But wines made out of, for example, Nero d’Avola and Inzolia blended with the internationals didn’t hold much appeal either, and wine lovers began to lose interest in the Sicilian varieties. 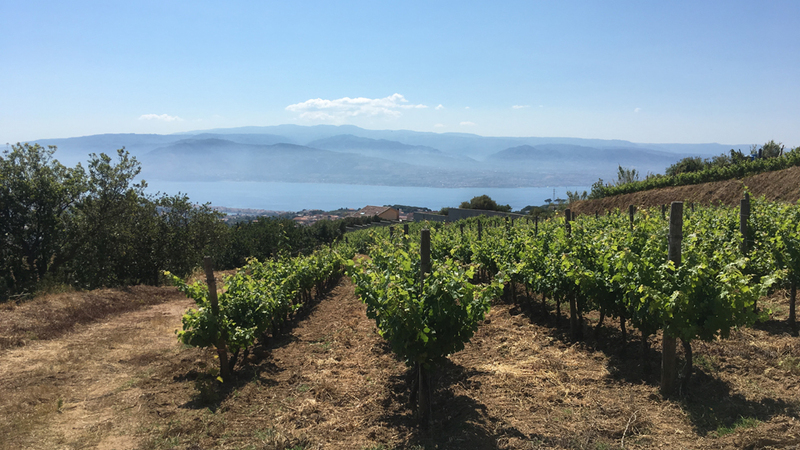 There are few wine-business case studies more interesting and enlightening than the rise and fall of Nero d’Avola wines in Italy over what was a very short time span. The variety went from being everyone’s darling in the 1990s to an also-ran by the new century, with discount bins overflowing with these wines in shops all over Italy. Happily, for reasons I discuss below, the tide has turned and Nero d’Avola wines are hot once again. All of this occurred while producers were moving from the archaic grape-growing and wine-production methods of the past to those more in tune with the modern world’s expectations. Clearly, in trying to make world-class wine from foreign varieties that international wine lovers and wine experts would have been more comfortable with, producers also hoped to attract attention to wines made from indigenous but little-known cultivars. Unfortunately, agriculture and winemaking involve very long learning curves. Once you plant a vineyard, it takes three years just to make wine, and at least another ten to truly understand what you have and what you are doing. It follows that those who had invested time, money and energy in planting new vines were not too keen on admitting that what seemed like a good idea at the time was anything but that. And thus the need to uproot or graft over the internationals was not immediately obvious. Unlike in most other regions in Italy, Sicily’s government invested heavily in agriculture and in what has long been a jewel of Italian viticultural research, the Istituto Vini e Oli di Sicilia (the Institute of Wine and Oil in Sicily, as it is now called). Blessed with a major line-up of skilled professionals who have worked there over the years, and still do, not to mention famous consultants such as university professor Attilio Scienza and superstar consultant winemaker Giacomo Tachis (the creator of wines like Sassicaia, Tignanello, Turriga, Sammarco and d’Alceo, Mille e una Notte, San Leonardo, and many others), the research center has conducted in-depth work aimed at improving knowledge about Sicily’s local cultivars and terroirs. Many estates in Sicily have in fact worked closely with the Institute over the years and planted according to its discoveries and suggestions - a body of very useful research that encompasses not only indigenous and international cultivars but also subjects like rootstocks, biotypes and clones. Furthermore, the fierce attachment that Sicilians have to their roots and traditions means that any input coming from the research center or from grandparents and other family members would be heeded more here than in other regions, such as Tuscany and Umbria. After all, while these latter regions attracted many moneyed foreigners looking to make wine, Sicily had to fly solo, and while the island’s wealthier families were quick to pounce on the international grape novelty and hire the same flying consulting winemakers engaged by everyone else in Italy, those with limited financial resources really couldn’t have replanted even if they had wanted to. And so, at the turn of the new century, producers who were fascinated by their local grapes started making distinctive wines that were not available anywhere else, inspired by the realization that the ancient cultivars behaved very differently in the island’s many diverse habitats. 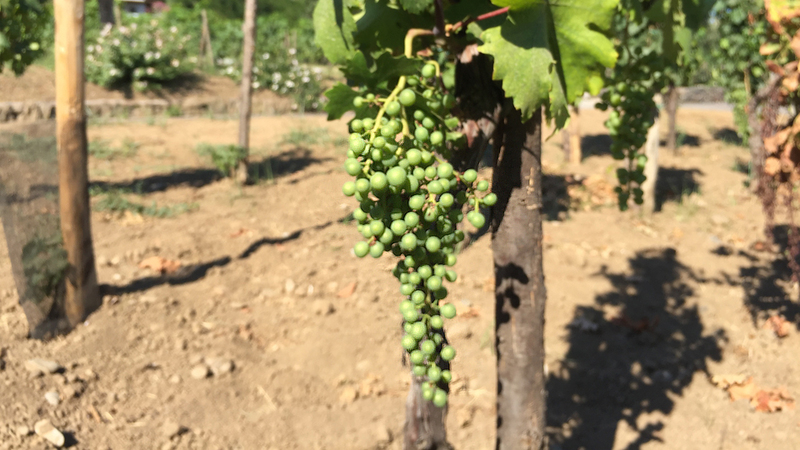 Slowly, the mindset that Nero d’Avola could only give the same wine no matter where it was planted began to change, and producers realized that the variety can give very different, highly perfumed and even luscious wines when planted in areas as diverse as those of Noto, Menfi, Milazzo and others. And much the same thing is happening today - for example, with the Catarattos (there are three different biotypes), which once were considered to be workhorse grapes of little interest beyond their capacity for large yields. We now know that Cataratto Comune planted at 700 to 800 meters or old-vine Cataratto Lucido planted at lower altitudes can give very interesting white wines. This sort of information was simply not available 40 years ago, and that goes a long way toward explaining why there are more exciting Sicilian wines to try today than ever before. In fact, until recently, not much was known about Sicily’s terroirs either. For example, nobody cared much about the Etna wine region as recently as 2000, but the Benanti estate attracted interest with its mono-variety Nerello Cappuccio, Nerello Mascalese, Carricante and Minnella Bianca wines. Although the estate also made wines from Chardonnay and Cabernet Sauvignon at the time, it was their wines from indigenous grapes that had everybody talking, and they soon dropped the wines made with international grapes from their line-up. Then, when Andrea Franchetti from Tenuta di Trinoro in Tuscany invested in Etna by creating a new estate called Passopisciaro and began making delightful wines that were not from Cabernet Sauvignon or Merlot, interest in the denominazione took off. Etna is now one of Italy’s hottest wine production zones. Other parts of Sicily have the same story to tell. Faro, an Italian denominazione that was at serious risk of disappearing due to the lack of commercial wine production, was essentially saved by Salvatore Geraci and his Palari wines. Estates like Bonavita, Le Casematte and Enza La Fauci are new names in Faro that wine experts and collectors are beginning to monitor. The recent history of the now-popular Vittoria area in southeastern Sicily is no different. Whereas in the 1980s a high-quality local grape variety such as Frappato had been completely forgotten, these days wines like Cerasuolo di Vittoria, a blend of Frappato and Nero d’Avola, and Vittoria Frappato, often made entirely from Frappato, rank among Italy’s hottest wine stories. And the list of quality producers making exciting wines in the Vittoria area is long and varied, and includes Arianna Occhipinti, COS, Gulfi, Paolo Calì and Valle dell’Acate. The Planeta family now also makes a series of outstanding Frappato and Cerasuolo di Vittoria wines. And the wines of Pantelleria, Lipari, Alcamo and Marsala have also never been better. All of these developments are good news for local farmers, who can hope for higher incomes, and for wine lovers, who now have many more outstanding Sicilian wines to choose from. For all of the good things that have happened in Sicily’s wine scene over the last 40 years, not all is well today. Some problems are linked to local politics. For example, the fact that Petit Verdot and Chardonnay can be planted on Etna is a travesty. Etna boasts a unique microclimate and terroir, not to mention unique grape varieties in Nerello Mascalese, Nerello Cappuccio and Carricante, among others. These sites and grapes can potentially yield some of the world’s most distinctive wines, but not if growers start adding Chardonnay to their whites or Petit Verdot to their reds. After all, Burgundy, a unique terroir for Pinot Noir and Chardonnay, hasn’t allowed the planting of Sauvignon Blanc or Tempranillo within its confines. 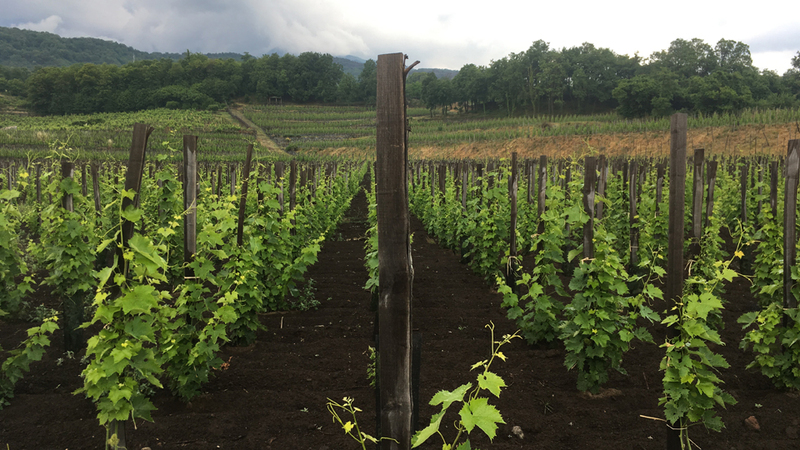 It’s a shame that Italy hasn’t done more to defend its high-quality native grapes and the specific terroir with which they are associated. The beautiful Aeolian Islands present wine lovers with a slightly different problem. 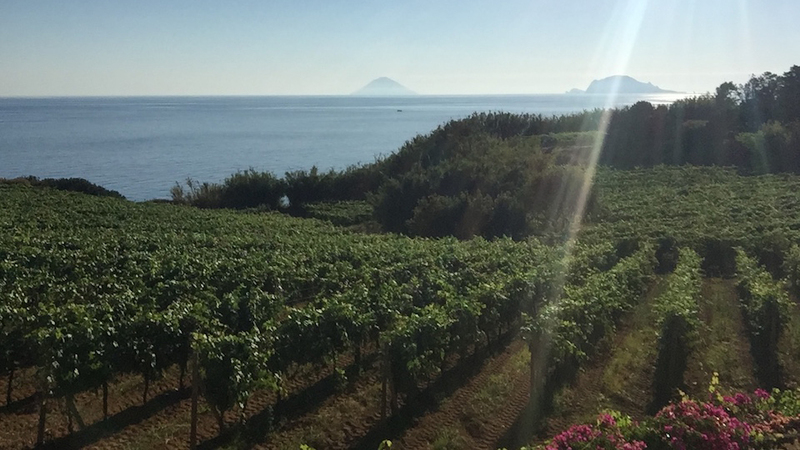 These islands are home to their own very special white-berried Malvasia variety, called Malvasia di Lipari, one of Italy’s 17 different and mostly unrelated Malvasia grapes, which give altogether different wines. Dry wines are labeled Malvasia Salina while sweet wines are called Malvasia delle Lipari. But allowing a generic Malvasia Salina label (Salina is one of the Aeolian islands) is misleading if not utterly useless, because the island of Lipari has long been associated with a specific Malvasia variety (called Malvasia di Lipari) that is quite unlike any other Malvasia cultivar grown in Italy. With a little tasting experience, it’s actually very easy to recognize wines made with Malvasia di Lipari. It’s a shame that more hasn’t been done to explain and publicize Sicily’s (and Italy’s) incredible grape biodiversity, as it contributes greatly to making the country’s many delicious wines utterly distinctive and special. Italy needs to do a much better job of protecting its DOCs and DOCGs and clarifying why they are special, or these terms will become even less meaningful and useful than they already are. It’s very hard to generalize about vintages in Sicily, which is one of the world’s 50 largest islands. Temperatures and rainfall totals vary significantly across the island. Vines also grow in a multitude of different habitats, ranging from Trapani by the seaside on the western side of the island to Etna at 1,000 meters above sea level on the island’s eastern coast; there can be as much as an eight week difference in harvest starting dates between these two parts of the island. But even areas that are only an hour’s drive apart can record sharply different precipitation amounts in a given year. Generally speaking, it is worth remembering that there is less vintage variation in Sicily than in northern parts of Italy such as Piedmont and Tuscany. Furthermore, what are universally regarded as poor years in mainland Italy (2002, for example) were actually much better in Sicily. Two cases in point are the recent 2016 and 2014 vintages, which were generally cool and rainy on the mainland but were less weather-challenged on the island. 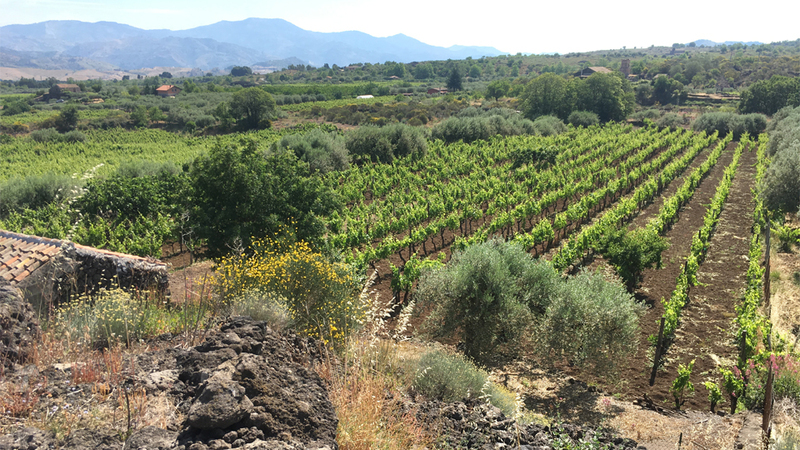 The 2016 vintage was a late vintage on Etna. Because it was a cool year, grapes reached full ripeness only during a warmer late-season spell. The fact that the grapes hung late was not a risk to quality as there were no major rain episodes during the autumn. Two thousand sixteen was a year of generally better-balanced wines than was either 2015 or 2014. For information on other recent Sicilian vintages, please refer to my previous Vinous articles on Sicily, Sicily: Moving Fast While Slowly Rediscovering Its Past (December, 2016) and Sicily: The Challenge of Turning Great Potential Into Great Wines (December, 2015). Most of the wines in this article were tasted during two separate week-long trips to Sicily in May and June of this year 2017; I tasted others in my Rome office in late spring and early summer. Readers should note that I have not included any Marsala wines in this article. I will be writing a separate piece on these magnificent, overlooked wines.